The Strawberry Banana is one of the first varieties created by DNA-Team in collab with Serious Seeds! Strawberry Banana is a cross of Crockett's Banana Kush and Serious Seeds Strawberry pheno of Bubble Gum. 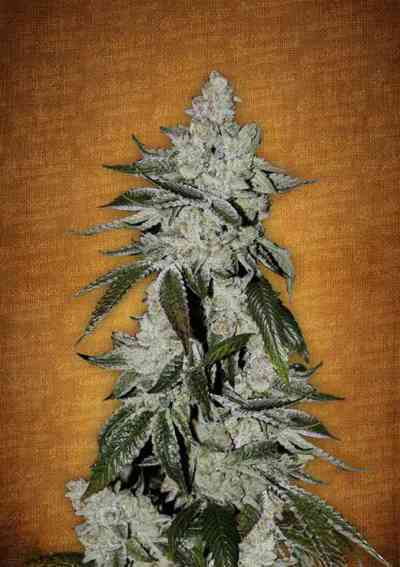 She is one of the greatest resin producers we have seen, expect to see good yields with the flowering time of 9 weeks. The concentrate that she produces is top notch winning awards at multiple cups around the world. She responds well to topping and does great in all systems. A medium to heavy feeder the Strawberry Banana can produce big yields! Expect connoisseur quality herb without having to be a expert grower! The beginner will shine as well as the seasoned grower. ob das jetzt wirklich nach erdebeeren und bananen riecht kann ich nicht sagen. aber es riecht auf jeden fall ziemlich aussergewöhnlich fruchtig-exotisch. für meinen geschmack extrem lecker. gepurpelt hat bei mit aber keine einzige von 6 pflanzen. guter indica turn! It was hard to find this expensive ones. More impressive than I could imagine. All germinated and flowered really fast. What a choice!